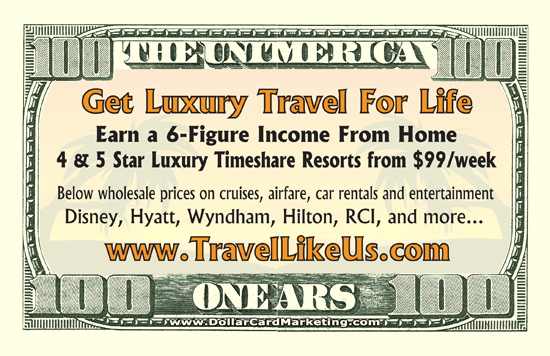 We’ve created many travel agency business cards that look like real money. Some travel agents have used our dollar bill business cards as drop cards for discounts, as lead generation tools to drive people to their websites, or simply to replace their traditional business card. Here’s an example travel agency business card that we created for Travel Like Us, a travel club.